The Fourth of July is always fun to celebrate with friends and family, enjoying the sun, some swimming, and outdoor cooking. And the food! There is usually a favorite recipe you like to make, or something you look forward to eating that a good friend or family member brings. It’s generally a full day of grazing, tasting, and sampling old favorites and new additions. But how do you feel the next day? Usually bloated from eating too much salty food or over-indulging in sweets or alcohol. Maybe a healthy swap is in order. Create healthier versions of classic Fourth of July dishes or prepare simple swap outs everyone will enjoy. Hopefully the heavier versions won’t even be missed. Chips and dip are always at the table on the Fourth of July. They feel so good going down, but the amount of grease and sour cream consumed from this snack alone can leave you feeling sick. This Mango Avocado Salsa is a fresh, healthy, and tasty alternative to the usual chips and onion dip served. There are only five ingredients in the salsa and paired with your favorite tortilla chips, it’s fantastic! It’s also good served over grilled chicken and fish with or without the habanero pepper, so make one spicy and one mild. Eggs are a great source of protein, and deviled eggs are a favorite appetizer at any cookout or holiday gathering. For the most part, a classic deviled-egg recipe that contains mayonnaise is still relatively healthy. But if you would like to nix the extra fat, try this deviled-egg recipe that replaces the mayo with greek yogurt. The yogurt still gives it the creamy texture, but with less fat and added probiotics to aid in digestion. There are so many versions of potato salad, it’s really hard to settle on just one. 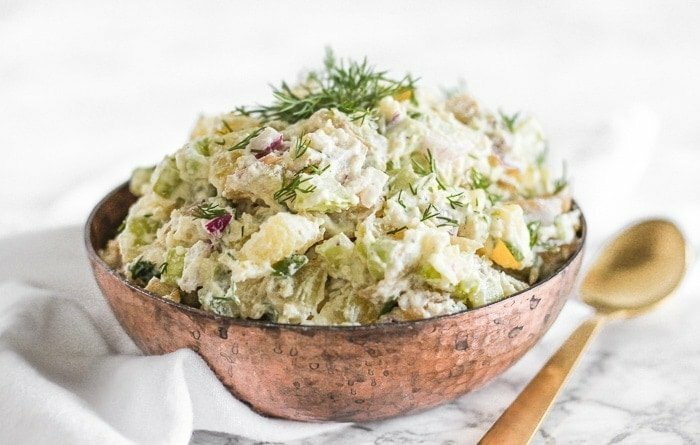 This Dill Potato Salad is healthy and has all of the classic ingredients, again without mayonnaise. Dill adds a nice change to the overall flavor combination. Not eating a hot dog on the Fourth of July might feel strange because hot dogs are an American staple. And what could be more American than eating a hot dog on America’s birthday? However, hot dogs are full of nitrates and preservatives and aren’t the healthiest option on any menu. As a twist on the traditional fare, a kebab is a great choice. You can use any meat you want, including a hearty fish like swordfish. Many different marinades can be used to create several different flavors, and the kebabs can be meat only or meat alternated with vegetables. 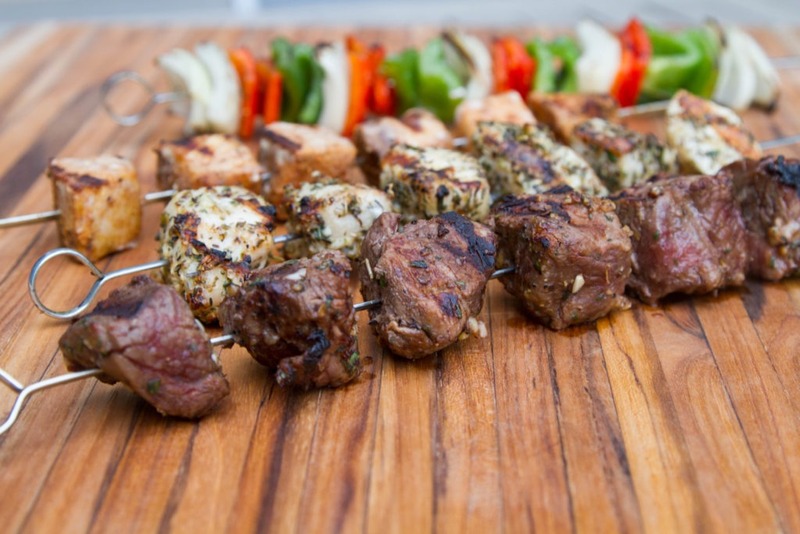 Theromoworks.com has a great article on types of skewers to use, marinades, cooking times for different meats, and the pitfalls of kebab grilling to be aware of. 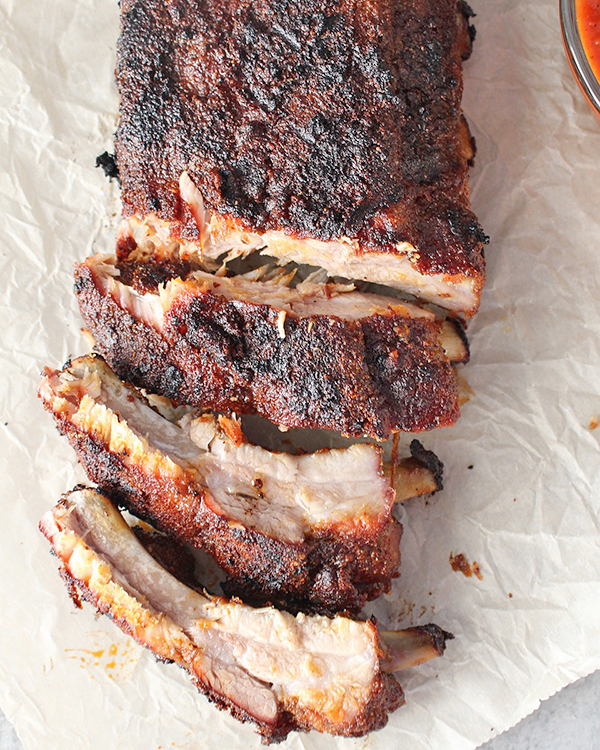 BBQ pork ribs are definitely a favorite at any cookout. They taste amazing, but generally are made with lots of sugar in both the spice rub and the bbq sauce. But there are low-sugar and sugar-free options out there. Jaysbakingmecrazy.com has a Paleo recipe that trades coconut sugar for brown sugar. Coconut sugar has a lower glycemic index than table sugar, sucrose, has some vitamins and minerals and is better for your gut health. If you happen to have an Instant Pot pressure cooker, amazing ribs can be done quickly, and no one will know the difference. This recipe by the Spicy Apron is perfect for tender ribs in 30 minutes. Baked beans are good, right? Sweet and maple flavored, but that equals high in sugar. Chili is a nice replacement for baked beans, and this chili is truly a twist on the norm. 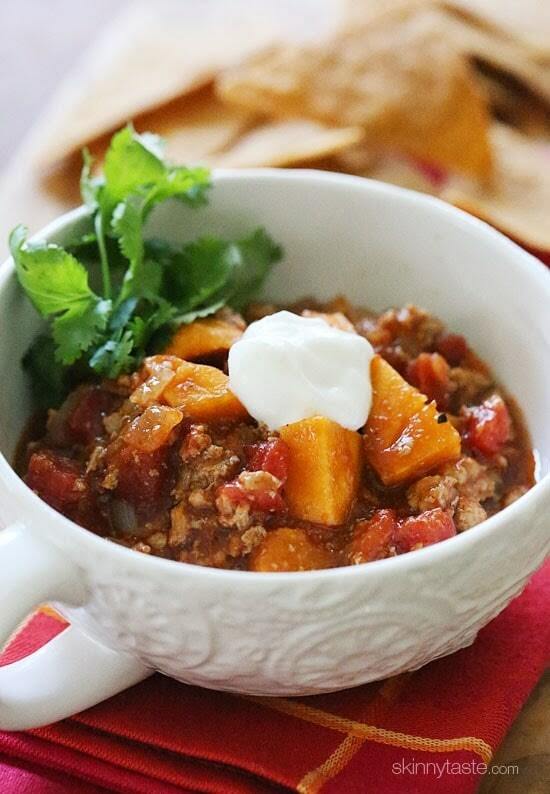 Skinny Taste’s No Bean Turkey and Sweet Potato Chili is fantastic, quick cooking, and easy to make. This recipe uses cubes of sweet potato rather than beans and turkey instead of beef. Using beef is fine if you’d rather have that flavor, but either way this dish is both healthy and delicious. This one isn’t so crazy or unusual. 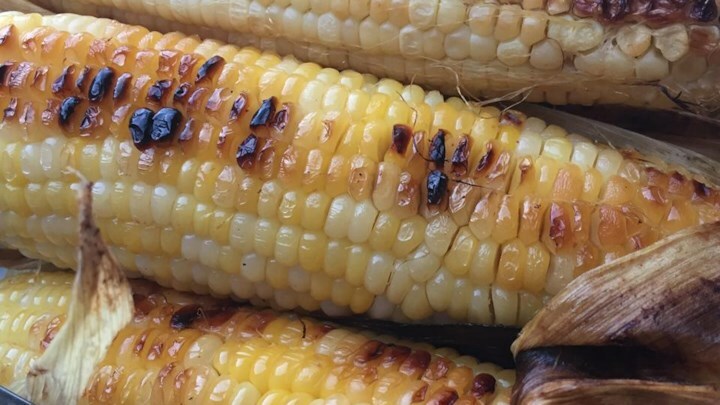 And, it’s hard to have a Fourth of July BBQ without corn. Here is a great Grilled Corn on the Cob from Allrecipes to add to the menu. 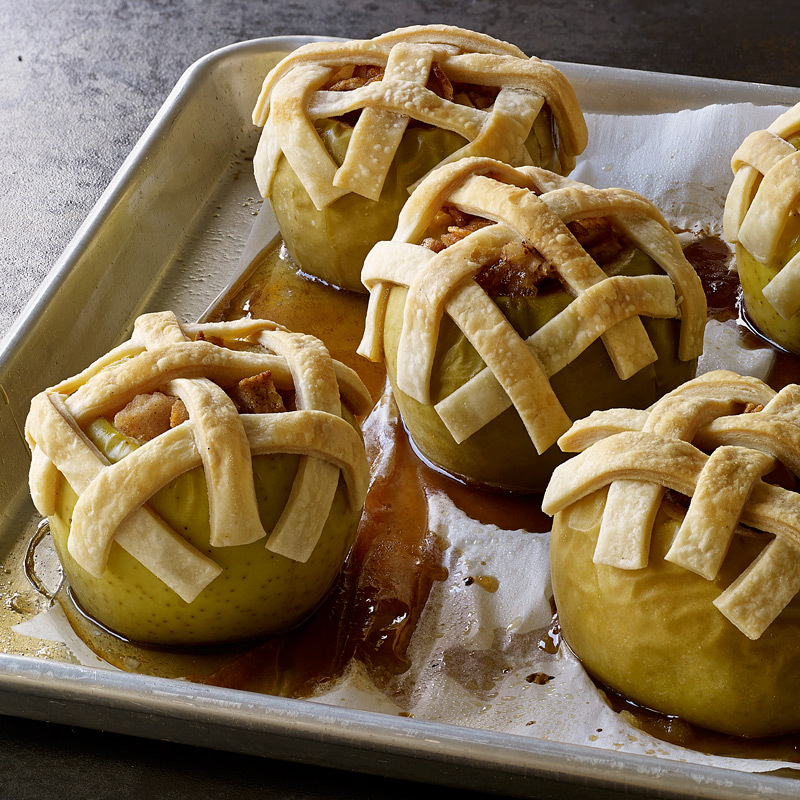 Caramel apples would probably be the favorite at a BBQ, but this Individual Baked-Apple Pie is a low-sugar, low-calorie treat that can be served warm, cold, or a la mode under the fireworks. However you plan to spend the day, the Fourth of July is a fantastic time to spend it with friends and family. Happy Fourth to you and yours!